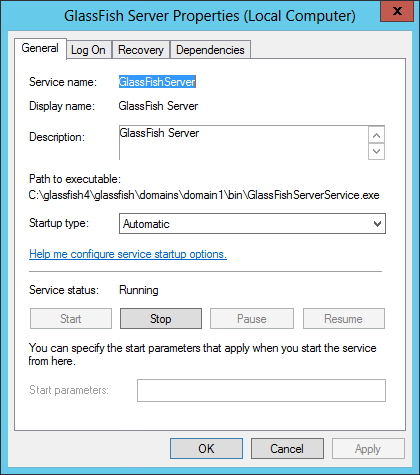 Automatically restart GlassFish when it crashes or stops for any reason. Periodically restart it at a safe time to cure memory leaks. On the General tab, in the Service to protect field, choose your GlassFish windows service. Your service will probably be named something like domain1 GlassFish Server, the default when installing GlassFish as a windows service, but it could have been renamed to something else. It is called "GlassFish Server" on our Windows Server 2012 test machine and you will see that name throughout this tutorial. 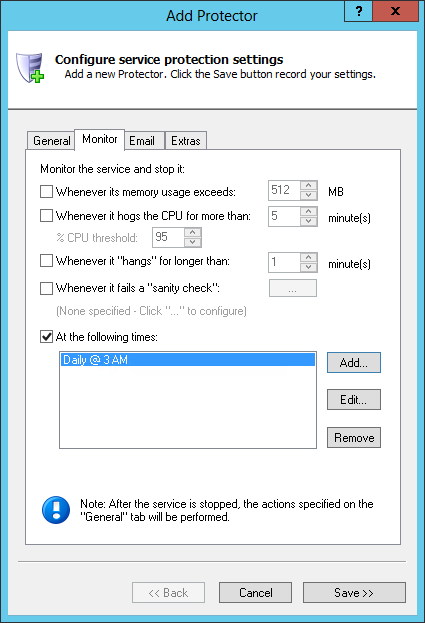 Specify the day and time to restart the service. We have chosen every day at 3 AM. Note that you can choose to reboot the server at that time if you like. Click the Save >> button. 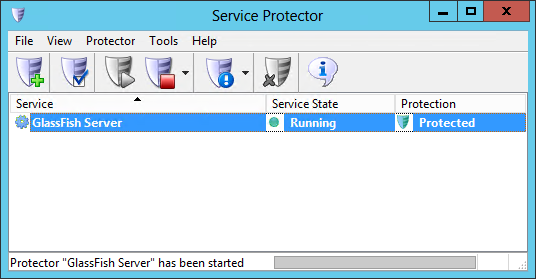 In a few seconds, an entry for GlassFish will show up in the Service Protector window. GlassFish is probably already running but it is not yet being protected by Service Protector (as shown below). That's it! 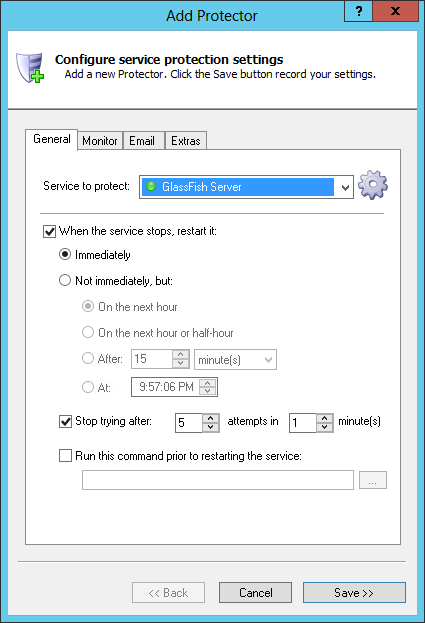 Next time your computer boots, GlassFish will start automatically and Service Protector will start watching the service to quickly restart it if it stops for any reason. 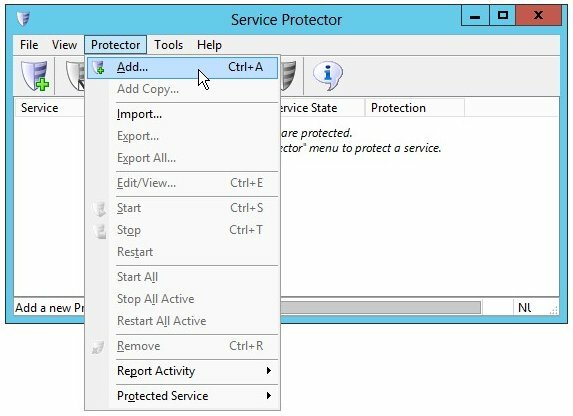 We encourage you to edit the GlassFish entry in Service Protector and check out the many other settings that may be beneficial to your environment. For example, send an email when the service fails, configure a sanity check to monitor the web interface and bounce the service when it fails, and much more. Trouble protecting the GlassFish Windows Service?